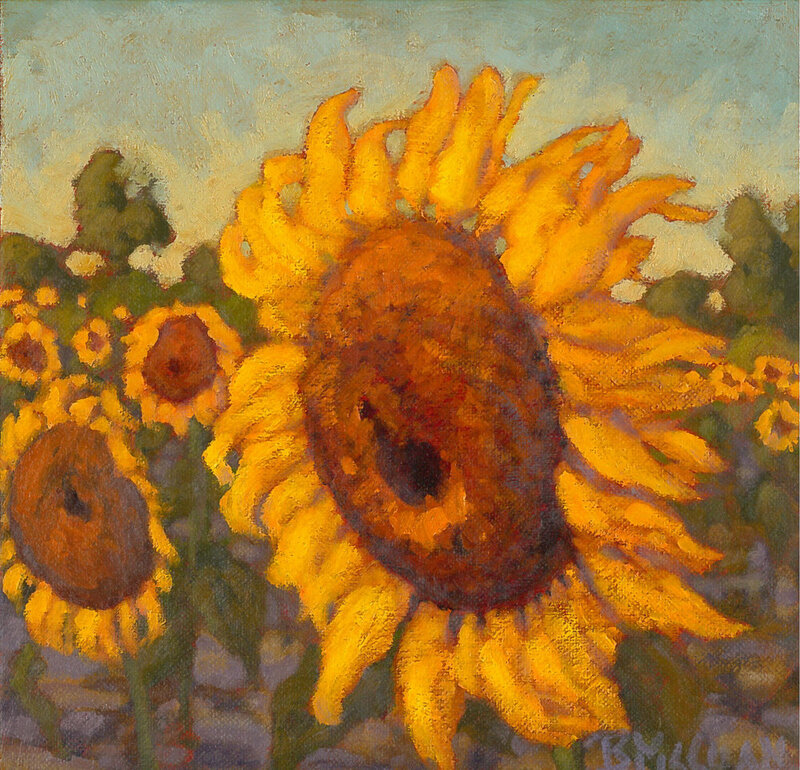 Plein-air painter Barry McCuan responds deeply to the forces of nature that give every region its unique and special beauty. 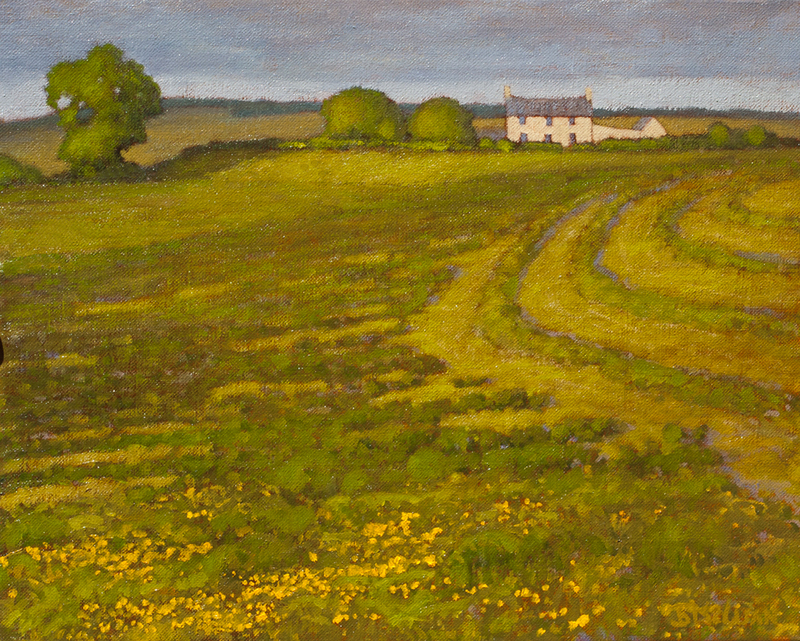 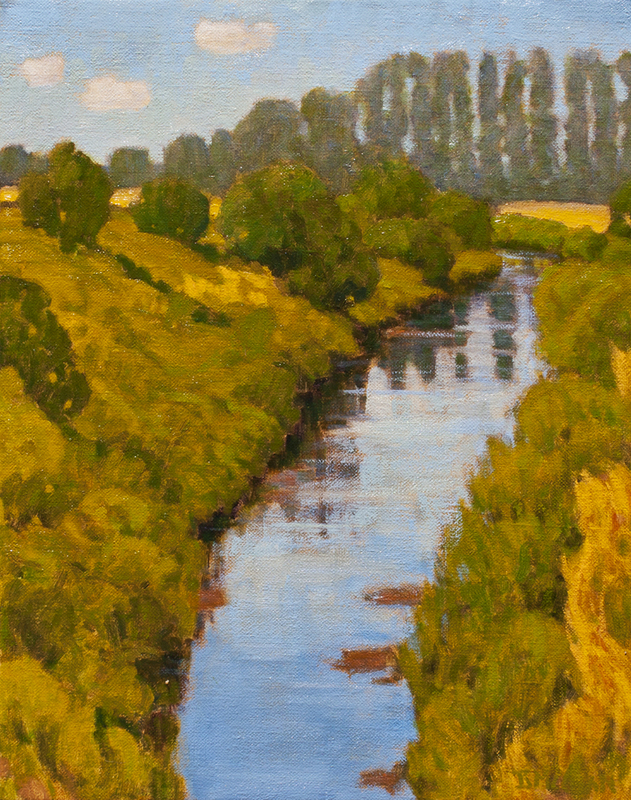 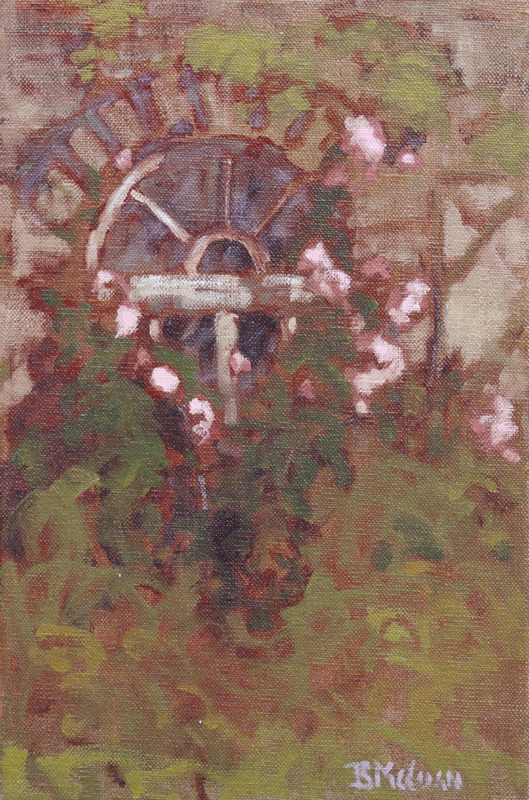 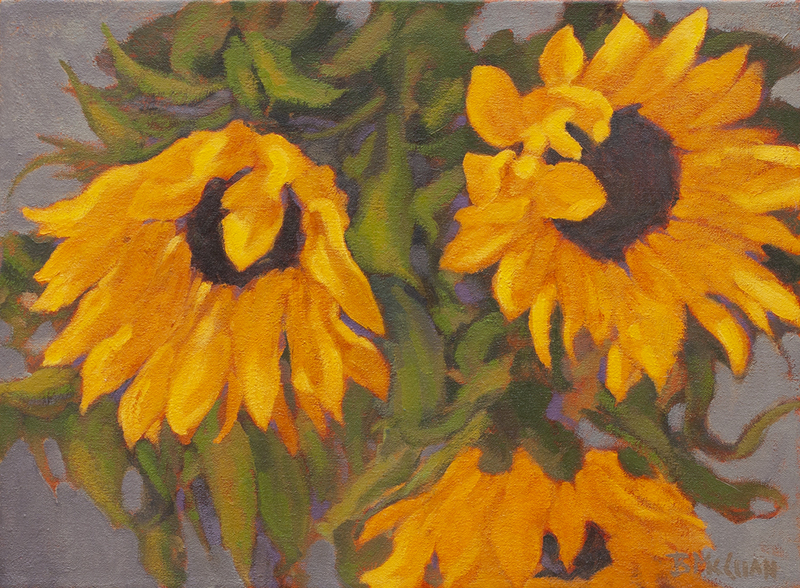 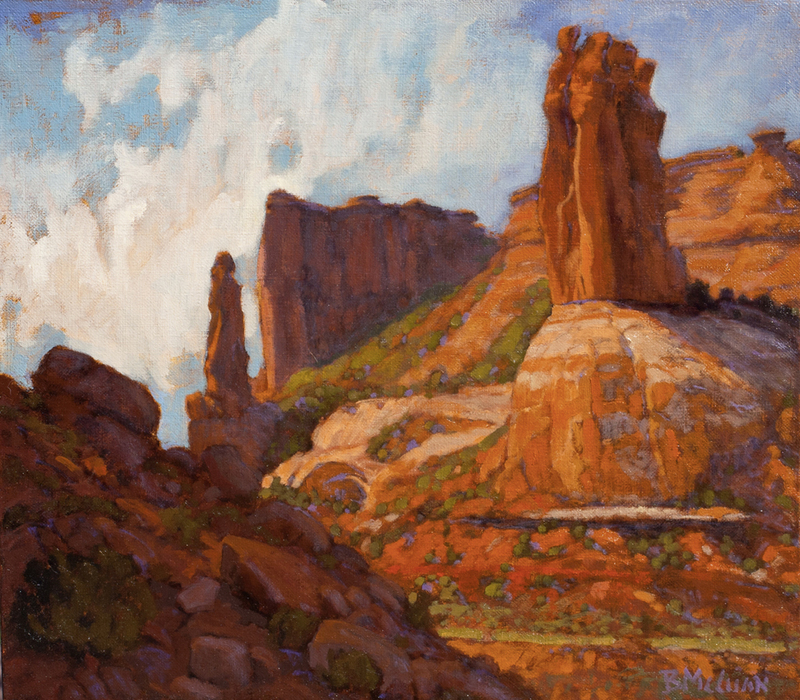 His paintings reflect not only that profound connection to the earth, but also a lifetime of astute observation, carefully chosen training, and the gradual building up of a formidable bank of technical skills in his preferred medium, oil paint. 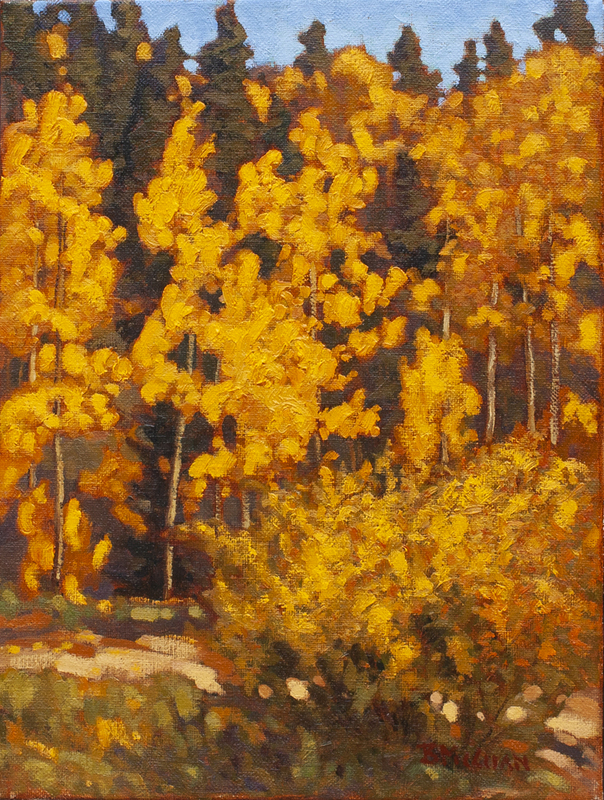 Painting early and late in the day, when light, shadow, and color are at their most interesting, McCuan knows instinctively what visual information to emphasize and what to downplay or discard. 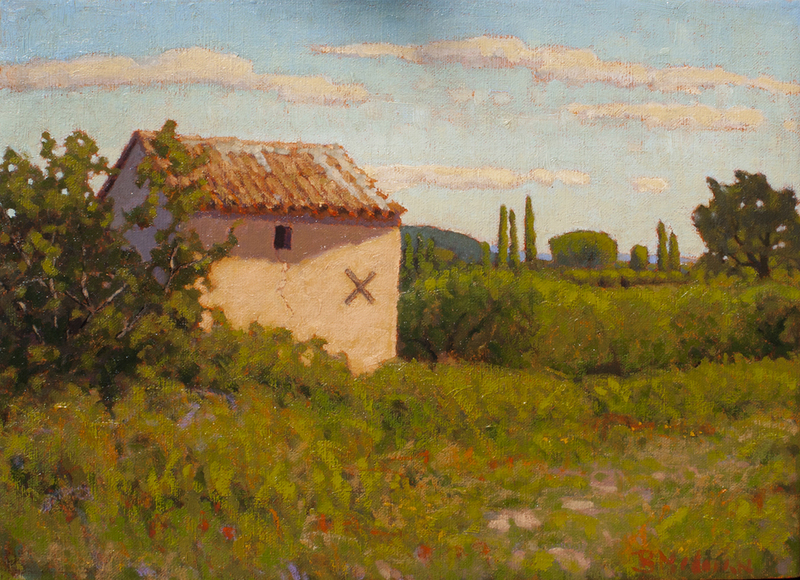 He is thus able to distill visual information and local color into a potent experience of the essence of place. 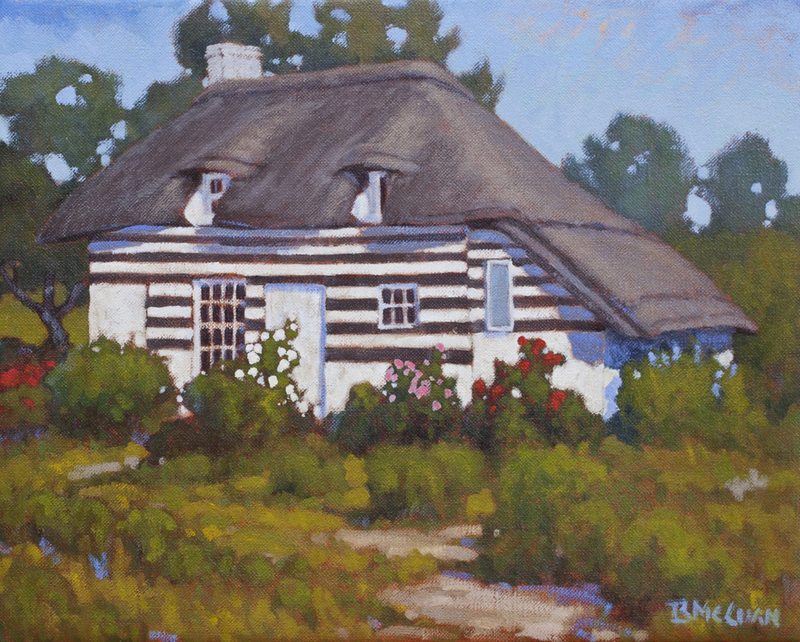 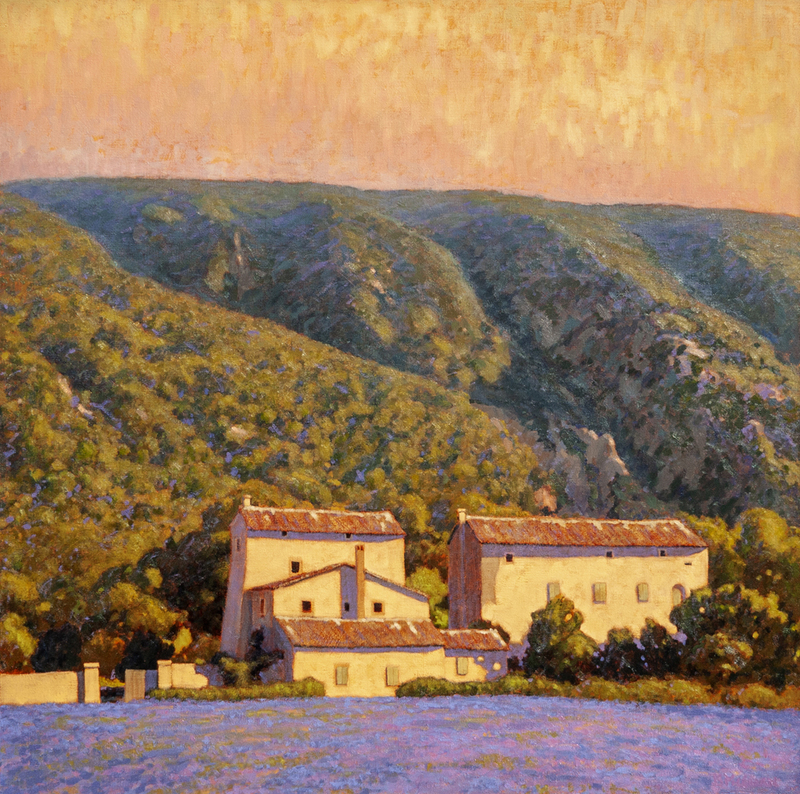 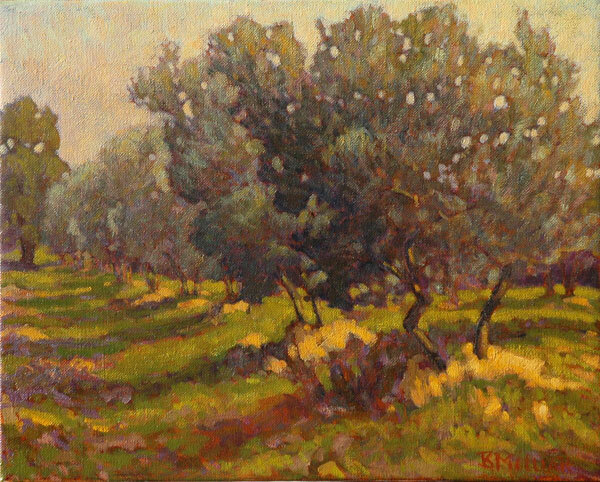 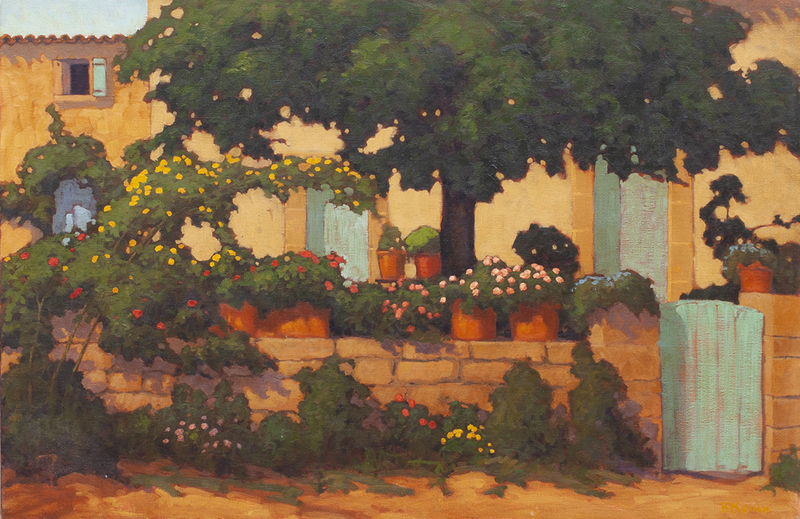 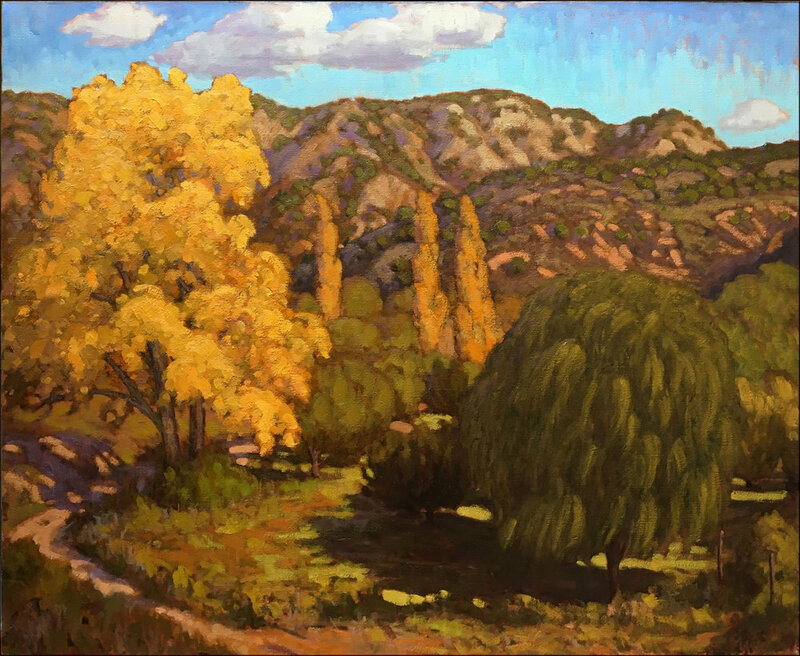 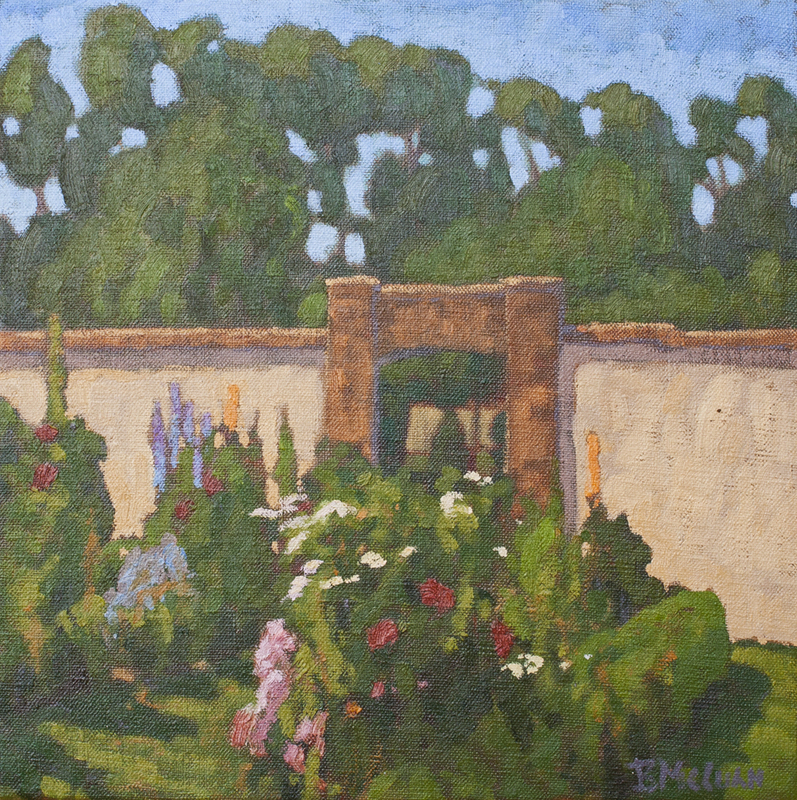 His subjects come from every beautiful corner of New Mexico, and from his love of travel to England, France, Italy, and other centers of cultivated and natural harmony. 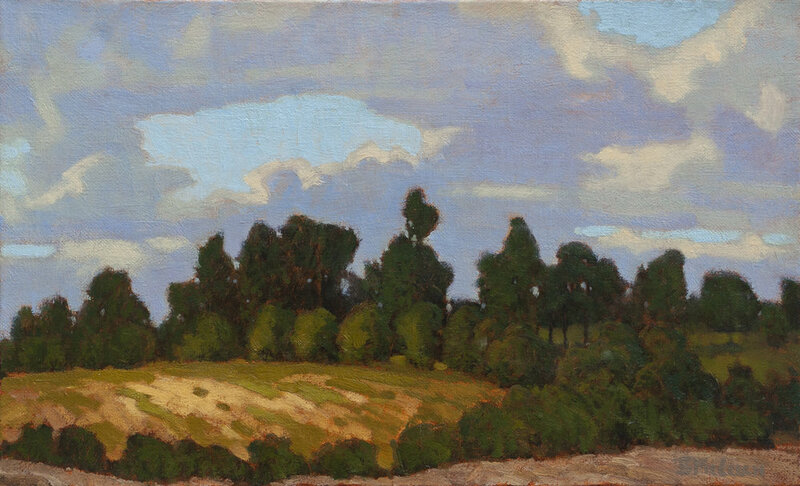 Barry's frames are hand-carved in classic plein-air motifs, then finished in 22-karat gold leaf. 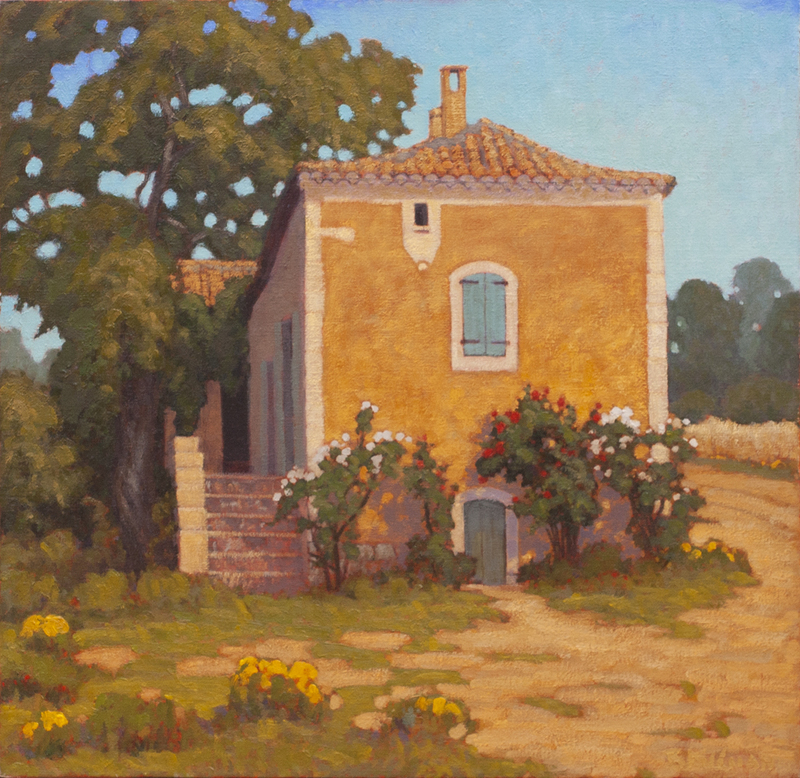 With the golden warmth of his palette, his ability to see the world through the refined eyes of a born and well-trained artist, his paintings transport the viewer to places of rare serenity, emotional import, and aesthetic allure.